After a department review of the requirements for admission to the economics major, the faculty have voted to update the grade requirements for students who matriculate at Cornell after June 1, 2017. MATH 1110 (or equivalent), with a grade of C or better. Credits for ECON 1110, ECON 1120 and Math 1110 must be shown on your Cornell University Transcript. There are no exceptions to these rules. Once these requirements are met, students can click here to apply to the major. Students who matriculated at Cornell before June 1, 2017 who wish to declare the major, will be held the original grade requirements of C or better for ECON 1110, ECON 1120 and MATH 1110 (or equivalents). If you have any questions about the requirement update, please email Prof. Stephen Coate, Director of Undergraduate Studies at econdus@cornell.edu. 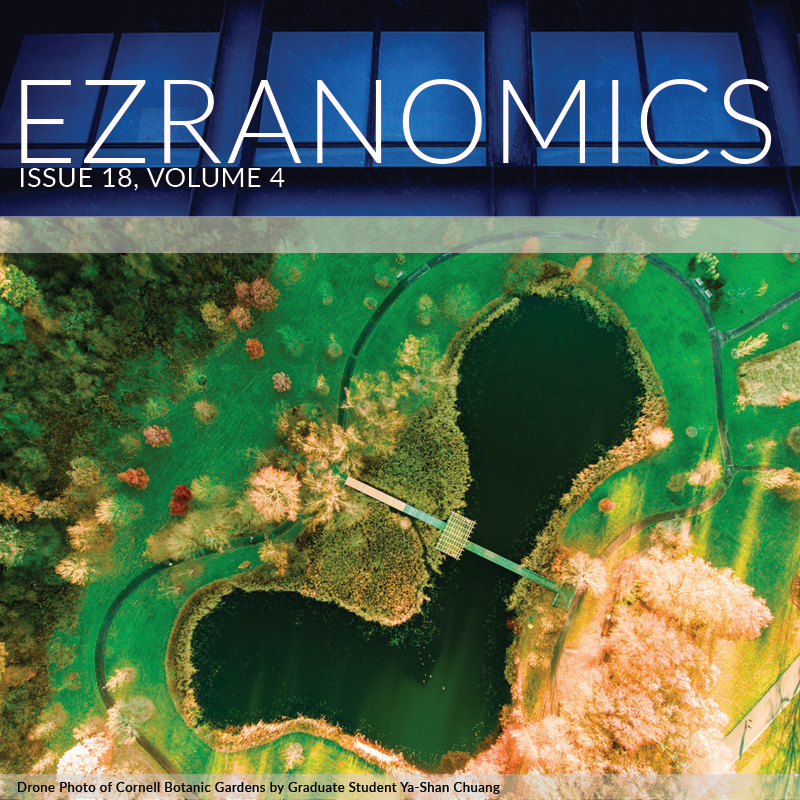 Welcome to the Undergraduate Student Newsletter, "Ezranomics", the place to access the latest news and resources for undergraduate Economics majors. Click the image to view our most recent issue, or explore the links below for archive issues. Find all current and historical economics courses on the Course of Study page. View all of the Forbidden Overlap Courses for the 2017-2018 Academic Year here.